A great small tree for a P!nk lover. 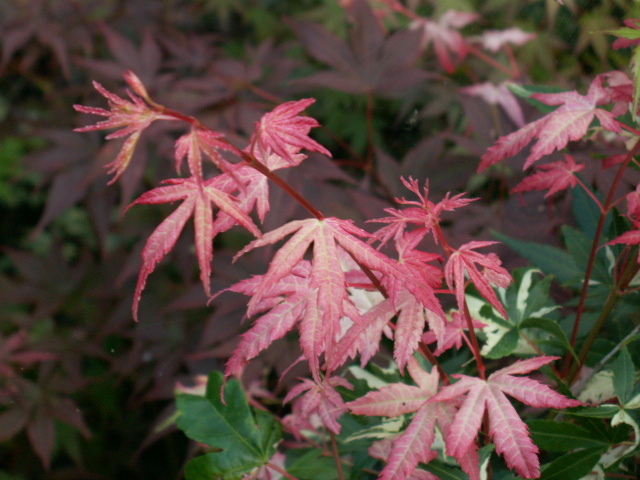 It has small variegated leaves with green/white and pink foliage. 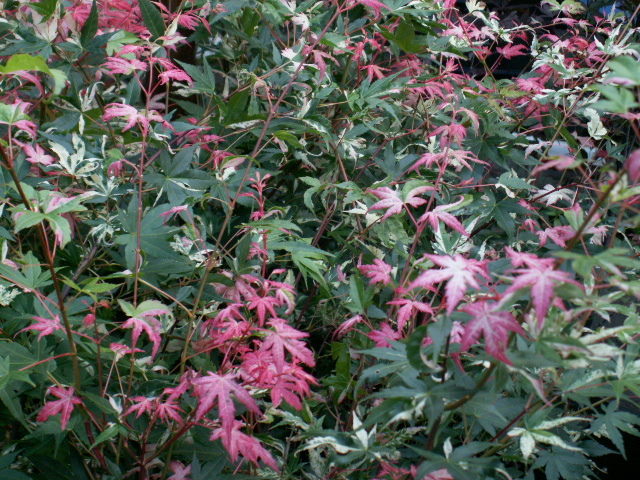 In July/Aug the new shoots are almost all pink making it a really pretty tree in summer. 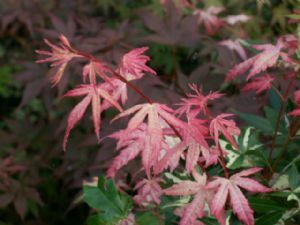 The green leaves turn orange in autumn, and in winter you are able to view the beautiful pink and green stripes in the bark. Does not care for full sun all day.